Fanny Kelly’s memoir, first published in 1872, is an intelligent and thoughtful narrative. Kelly spent five months as a prisoner of Ogalalla Sioux in 1864 when she was nineteen years old. A woman of her time, there was no reason she should feel sympathy toward her captors, but the introduction points out examples of expressed favor toward the Sioux, however unconscious. This narrative is a valuable part of literature not only for its historical importance but its depiction of the conflicting images of Native Americans in the nineteenth century: savage aggressors or victims of prejudice and oppression. Fanny Kelly was born in Canada in 1845 and moved to Kansas in 1856. 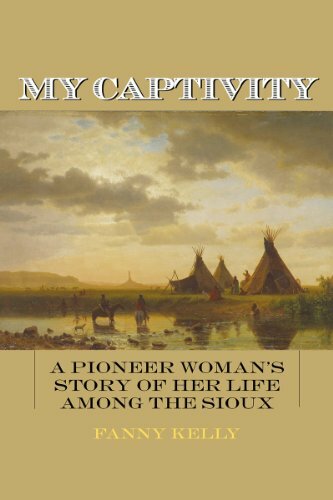 Narrative of My Captivity Among the Sioux Indians was published in 1872, eight years after her release. She died in 1904 in Washington.